Thereʼs so much anticipation brewing at The Forum as the rumors have been confirmed to be true! 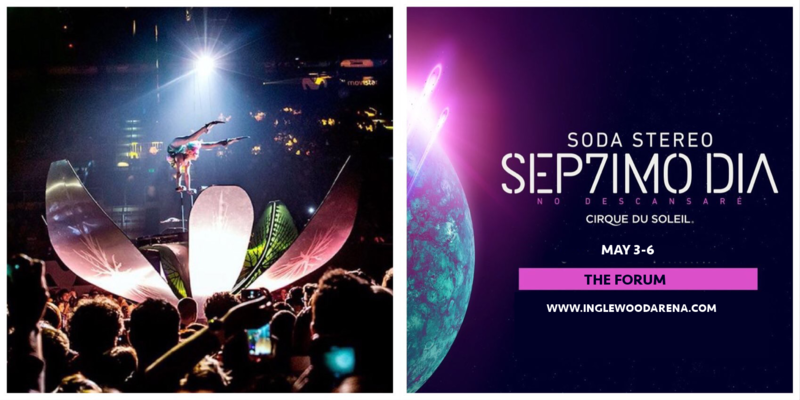 Cirque du Soleil are back with an all-new production – Sep7imo Dia, inspired by the songs of the legendary Soda Stereo! Experience the magic of the world’s greatest circus production, live at The Forum for four nights only! Book here for tickets to Cirque du Soleil – Sep7imo Dia on Sunday 6th May 2018! For more than 30 years, Cirque Du Soleil has been regarded the world over as one of the finest circus companies ever to exist. Removing the element of performing animals and bringing elements of art and dance combined with original live music they revolutionised the field of contemporary circus. Today, their shows remain one of the most in-demand of any performing arts company in existence. Get ready to experience Cirque Du Soleil’s newest offering live – buy tickets to Sep7imo Dia TODAY!